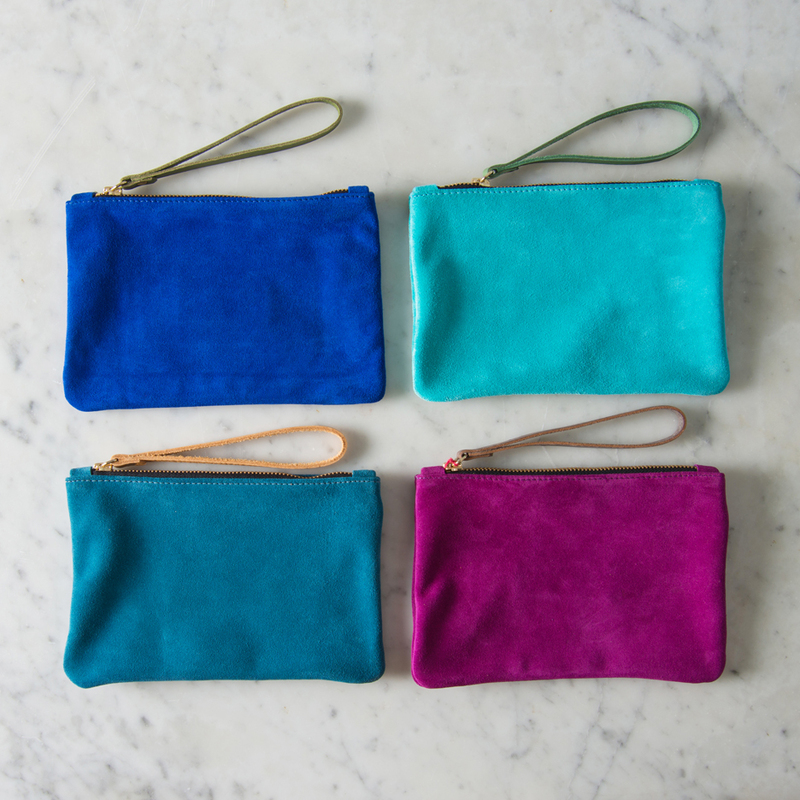 An effortlessly stylish clutch bag made from soft calf suede with a leather wristlet zip pull. 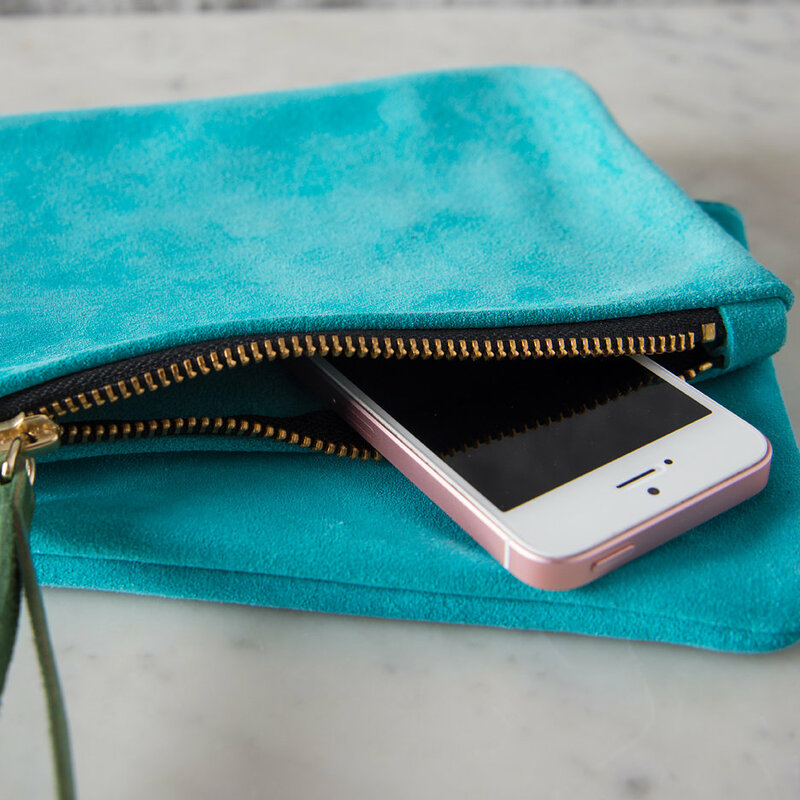 It is the perfect size to hold your essentials for a night on the town (whatever those might be!). Also great for holding makeup and small enough to keep in your handbag. 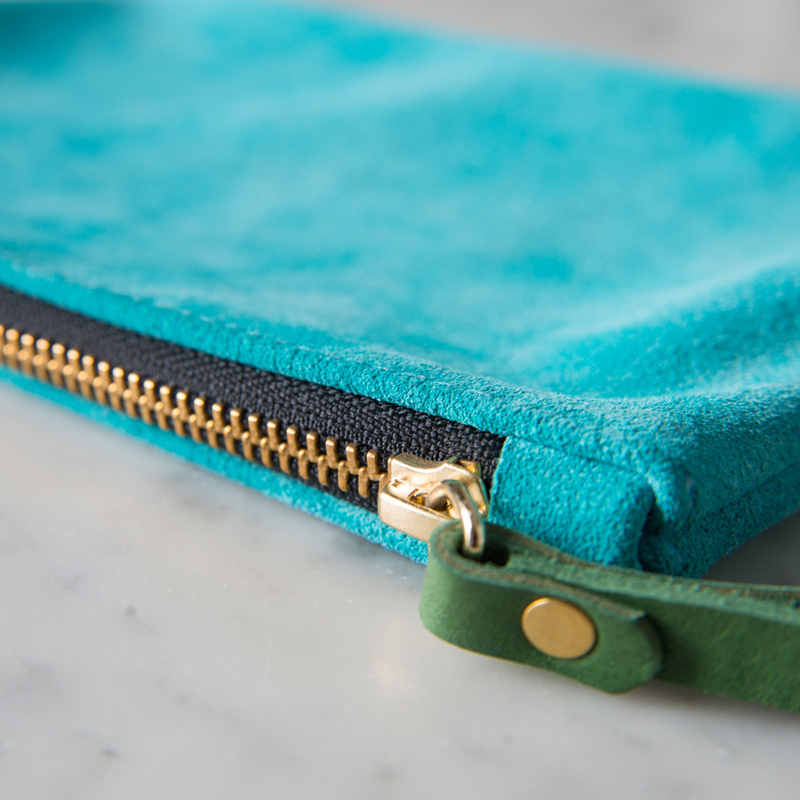 This vibrant aqua with a contrast green wristlet, has a great summer vibe and would look fab with a tan. 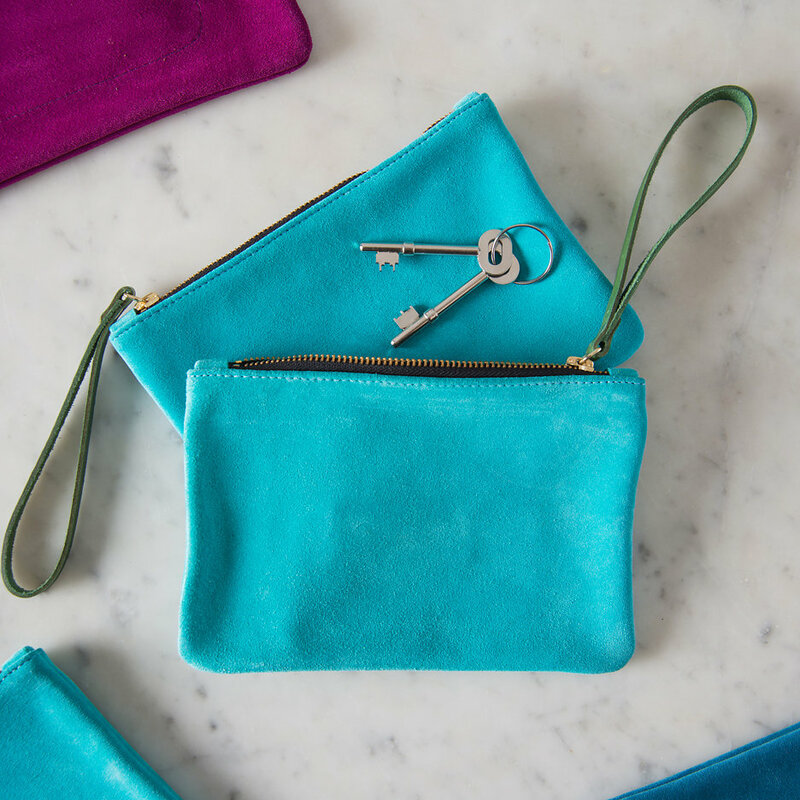 Handmade in England, the clutch is unlined and has a small patch pocket on the inside. 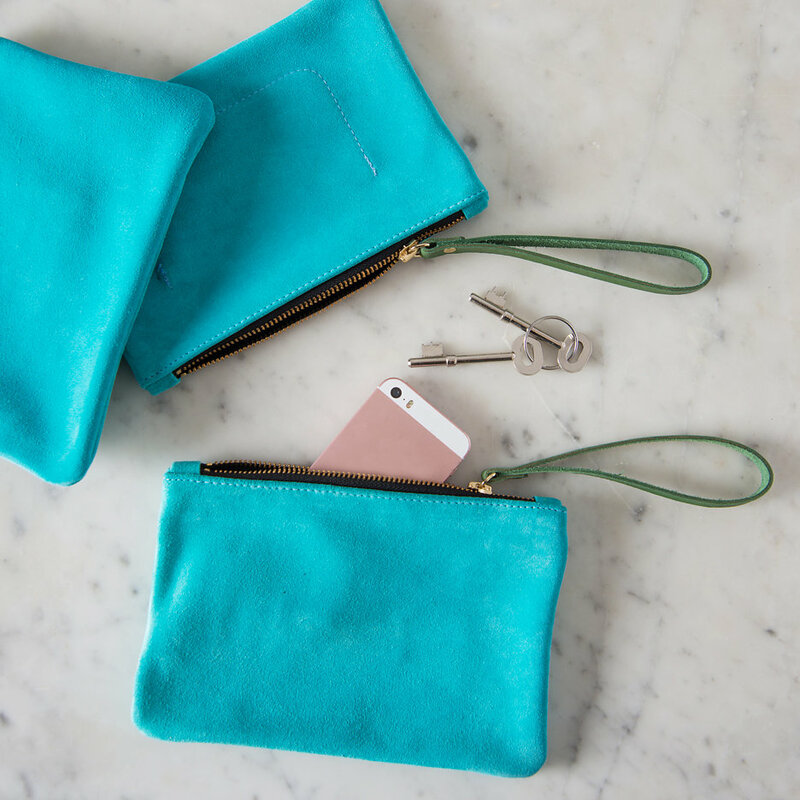 The contrast wristlet strap has been vegetable tanned for softness and the fittings are brass plated. Just lovely!